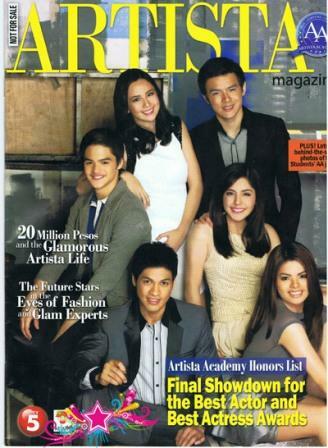 The final six of the TV5's reality artista search "Artista Academy" were featured in the cover of the newly magazine dubbed as "Artista Magazine" this month of October. The final six finalists were Shaira Mae, Vin Abrenica, Akihiro Blanco, Chanel Morales, Sophie Albert, and Mark Neumann. Who among them do you think will be the two grand winners - Best Actor and Best Actress?! We'll see! Good luck teens!